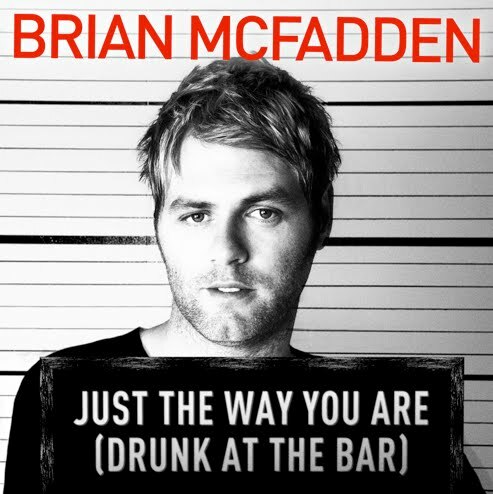 It’d be so easy to insert a corny line about life imitating art (or in this case, possibly the other way around), but Universal Music has this morning serviced ‘Just The Way You Are (Drunk At The Bar)’, the brand new single for Brian McFadden. 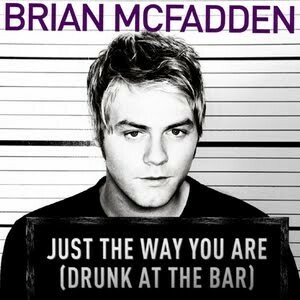 Kicking off with a flurry of banjos (which reappear in each of the choruses), the track is another up-tempo pop/dance number that has one eye on the clubs and the other firmly with radio stations in its sights. So given the ‘Drunk At The Bar’ reference, could Brian’s recently reported indiscretions aboard a flight across the Pacific have been a ploy for attention ahead of the song’s release? According to Universal, the track comes with a “controversial” video, which is set to drop soon. UPDATE : Now we’re all kinds of confused with a different cover image being sent out with an official Universal press release (below). This is probably the worst song I’ve heard in the past 5 years. Does anyone want his first 2 albums and the singles associated with them that I own, this puts me off him completely!!! The first cover is far more attractive. …aaaand we have an early contender for worst song of the decade already… it’s truly the worst piece of recorded music I’ve heard since Lady GaGa’s “Eh Eh”.